The cycle of the seasons at Virtue Farm is a true thing of beauty to behold. Being situated just a few miles from the Lake Michigan coast, we welcome both the lake-effect snow and the unseasonably warm and rainy January we've had this year. Our apple trees are dormant, our apple-pressing slows as we've pretty much pressed everything we got during the fall harvest, and even the cider fermenting slows down — yeast loves warmer temperatures, after all, and our cider houses don't have temperature control, just like traditional cider houses in Europe. This doesn't mean we slow down though. Cidermaking and the upkeep of our farm are all-season affairs, and our Old Spot pigs, sheep, and chickens don't hibernate for the winter. Our Bottle Shop and Tasting Room are open all winter long as well, so you can stop by for a tour, taste some of our ciders including our flagship, vintage, and specialty series, or take some home in a growler or grab bottles from our Bottle Shop. We also have a great selection of specially curated locally made food products and snacks if you need a quick bite while you're here or are looking for a gift to-go. We are also excited to be the first place you can pick up our brand-new 12oz. 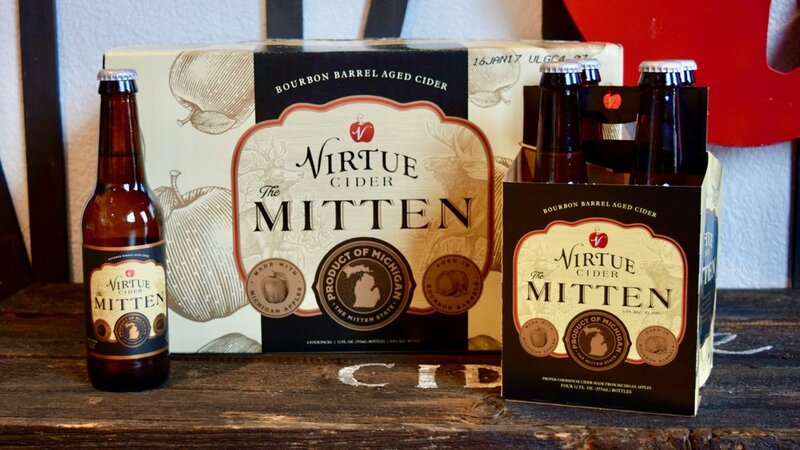 bottles of our bourbon barrel-aged cider, The Mitten. 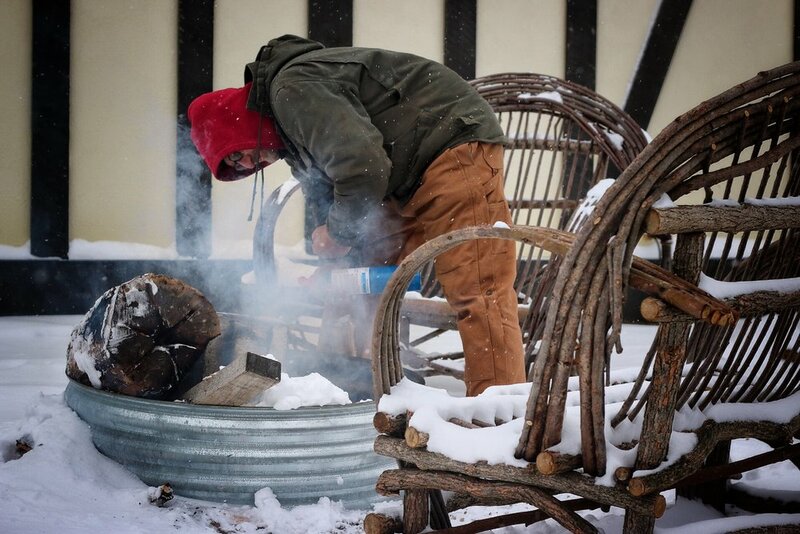 Consider taking a mid-winter mini-break, and come visit us at Virtue Farm.